After cutting and chopping through dried bamboo and cutting through a manila rope 350 times, this blade is still able to slice cleanly through a sheet of paper. The handle is made from duralumin, which is light and strong. This knife has a blade angle of 30 degrees near the half, and 24 degrees near the tip with one continuous, gradually reducing angle connecting them. 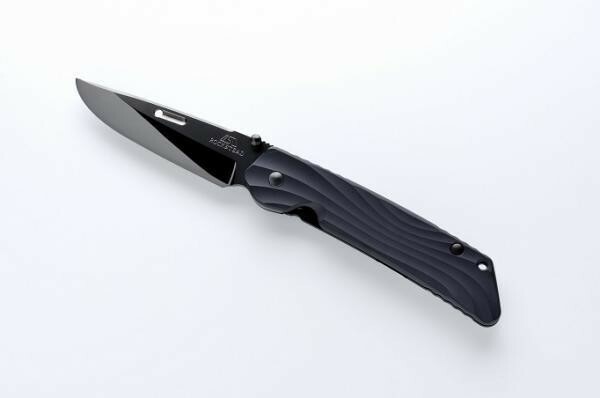 This reducing blade angle is a product of Rockstead's continuing pursuit of superior sharpness.This knife is of preeminent sharpness. This is a durable knife with strong cutting capabilities that will last for a long time. The scales are attached by two screws, and so after cutting fish or wild game, the knife is easy to dismantle and clean.